Drs. 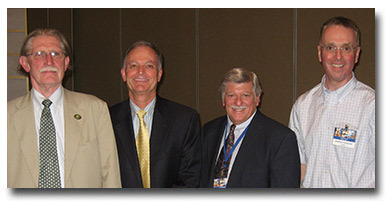 Dwight Bowman (President), Bob Arther (Secretary/Treasurer), Alan Marchiondo (Immediate Past-President) and Andrew Peregrine (President Elect and 2014 Program Chair). Not pictured, Dr. Ray Kaplan (Vice President).